G&S: What are some of your nicknames? JMT: My husband of 28 years, Todd; my son, Taylor; and my daughter, Katie (who also writes for G&S). JMT: Southeast Pennsylvania, just a little north of Valley Forge, or just a little more northwest of Philadelphia. G&S: Where else have you lived? JMT: I grew up in Torrance, California. Fun fact – there are four high schools in Torrance: South High (my alma mater); North High; West High; and Torrance High. Torrance High is actually the high school used in Beverly Hills 90210; 90210; Buffy the Vampire Slayer; and The Secret Life of the American Teenager, just to name a few. It’s also the high school that Louis Zamperini graduated from in 1936, however, it was not used for his movie because it’s too recognizable from the other shows filmed there. I lived in Las Cruces, New Mexico from the age of 4 to 6. Fun fact – the town of Old Mesilla, besides having the best green chili enchiladas this side of the Rio Grande, was a popular hangout for Billy the Kid and where the Gadsden Purchase was signed. I lived in Central Arkansas from the first week of my marriage (1988) until 2006 when we moved to Pennsylvania. The last 13 years were spent in Benton, Arkansas, not to be confused with WalMart’s Bentonville. Fun Fact – Cy Young award winner Cliff Lee is from Benton. My parents knew his grandfather, but it didn’t help me score any tickets when he played for the Phillies. G&S: What takes up most of your time? JMT: I would love to say writing, but that’s not true. I’ve been spending some time working as a ministry development member for Renewing the Heart – a regional ministry to women and their churches. We’re gearing up for our first conference in April so that’s exciting. But I’ve also recently started a web designing business and it has been keeping me pretty busy. And, of course, there’s always Grace & Such. JMT: My current read (which I’m not spending much time doing right now) is Glory Over Everything: Beyond the Kitchen House by Kathleen Grissom. It’s a follow up to her book, The Kitchen House, which was really good. JMT: I’m currently binge watching (sort of) Once Upon a Time on Netflix. I love the creative way they weave all the fairy tale stories together and it’s fun to try to figure out certain characters before they reveal them. I also like Sherlock, Elementary (it looks kind of like a theme there), and Empire. There are plenty of others to be listed, but this will do. JMT: Sweet, all the way. I love, love, love ice cream. Too much, do I love ice cream. Especially if there’s chocolate involved. And maybe peanut butter. JMT: Thanksgiving, hands down. Even the time I didn’t prepare anything and we just got turkey bowls from Wawa was a great holiday. Unless you ask the family. But this is about me and I say it was just fine. JMT: There are so many to choose from, but I’m going to say Isaiah 55:8-9. ‘For my thoughts are not your thoughts, neither are your ways my ways,’ declares the Lord. Anytime life gets hard or doesn’t make any sense I think on these verses. It reminds me that God is God and I am absolutely not. 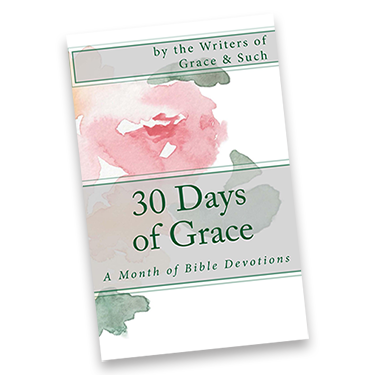 JMT: Well I did start it, so… My hope is that people will see grace in every article and every comment, and that, as women after God’s heart, we will be an encouragement to others. I didn’t know you were from California…oh yes, I guess I did. But near the beach, I think that’s new knowledge! (written with a sarcastic lilt to my voice, of course!). Thanks for sharing a bit of you with us, Jen! Appreciate you even more now that you have acknowledged that The Nightingale is a fave book of yours…as it is mine as well! Happy to be doing Renewing the Heart with you!! So glad we share this planet together. And I love that you love peanut butter and chocolate. What I’m trying to say is…you complete me.